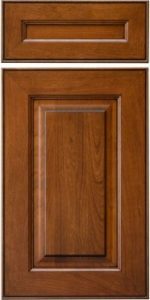 As the Kitchen and Bath industry has moved away from the overly detailed mitered doors that were so popular in the early 2000’s, customers demanded simpler, more tasteful mitered doors that have clean, graceful lines without the overbearing profiles and curves. 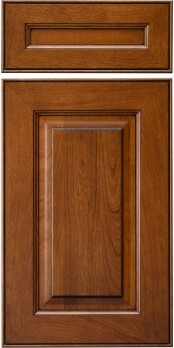 The midland door uses a beaded outside edge and a traditional looking framing bead, resulting in a nice understated, transitionally styled door design. Yes, but incur standard lite charges.